Let me start out by saying I normally would not have read “Start Something That Matters.” It’s just not my kind of book. Not that I haven’t dreamed about starting some sort of ministry, but I definitely would never call myself an entrepreneur. I leave that title to my husband and he wears it proudly. 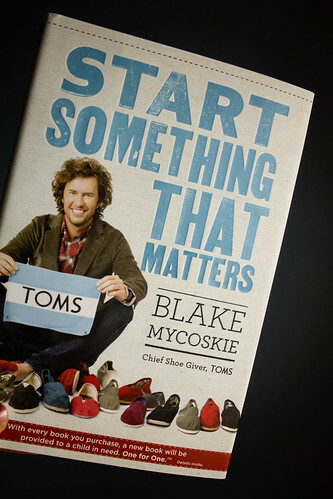 Start Something That Matters was written by Blake Mycoskie, the creator of TOMS. You can learn more about them here. So I started the book hesitantly but it surpassed any expectation I may have had. It easily became one of my favorite books. The encouragement. The transparency. It was so refreshing. It’s definitely not a typical business-advice kind of book. This goes beyond the business world and dives into serving others and making your life worth more than dollar signs. And it is full of humor. It’s also full of names. Watch where you step cause they are droppin’ like flies. Let me tell ya, I am not a fan of name droppers at all. Unless you’re lifting up the name of Jesus I could care less about who you know. But the stories he fills this book with. The obstacles all of these amazing companies have overcome. It makes me want to ‘start something that matters.’ Or even to ‘join in on something that matters.’ I will definitely be forcing encouraging my husband to read this! And nowadays there are so many people who are ready to break away and start their own businesses. SSTM is a great source of encouragement in a world that seems overpacked with small businesses already. You can make a difference. I was beyond excited when I received the book in the mail. And honestly I was surprised. They were thoughtful enough to send me a book to review and also one to giveaway. And let me tell ya, whoever wins this book is going to be blessed! Be prepared to be on fire to start something! Your brain will be reeling as you fly through this book. So yes, today we have a giveaway! 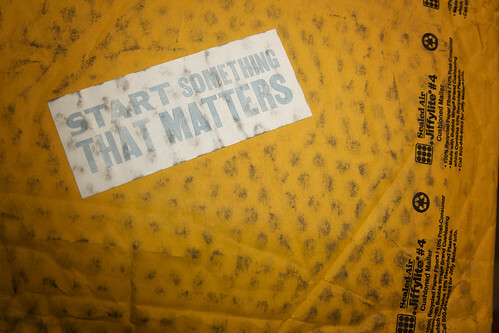 Enter below for your chance to win “Start Something That Matters”. And……. A $20 gift card to TOMS! You can then choose your own size and style and be a part of the giving. And let’s be real, these shoes aren’t cheap, so anything to help you get a pair so you can encourage others to support this inspiring company. Get involved and help place shoes on the feet of a child who otherwise would be exposed to the dangers of his environment. You can comment up to four times! 1. What would you get with your TOMS gift card? 3. Like Eucharisteo on Facebook and leave a comment saying you did. 4. Follow Eucharisteo on Twitter and, again, leave a comment saying you did. I will draw a name on January 27th and announce the winner that day! My best to all of you! WOW! This book looks so good, I would love to read it. I would buy a pair of red toms!! Such a neat company. Hey i read the review….pretty impressive, makes me want to read this book and then have all the kids (even those who are married) read it. I am like you, I basically stay with books about Jesus are books to encourage me to be more like Jesus, but this looks really tempting. Thanks. 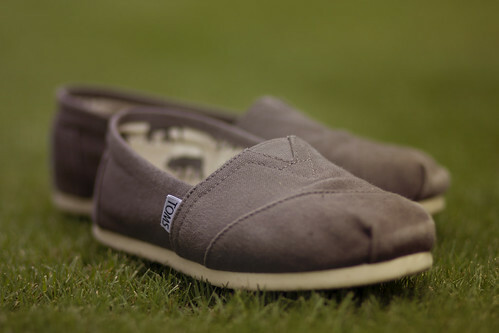 Would def buy a pair of TOMS, something i wouldn’t normally buy myself…but with $20.00….sounds like a deal. Liked this on FACEBOOK, don’t have a twitter. And I signed up and activated my email subscription. Thank you! I found your website by searching “eucharisteo”. 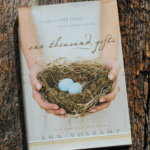 I just started reading Ann Voskamp’s book. I’ll be back! My son loves Tom’s. Maybe I’d give the $20 to him.